With these easy to use labels, you can address envelopes one after another in no time at all. 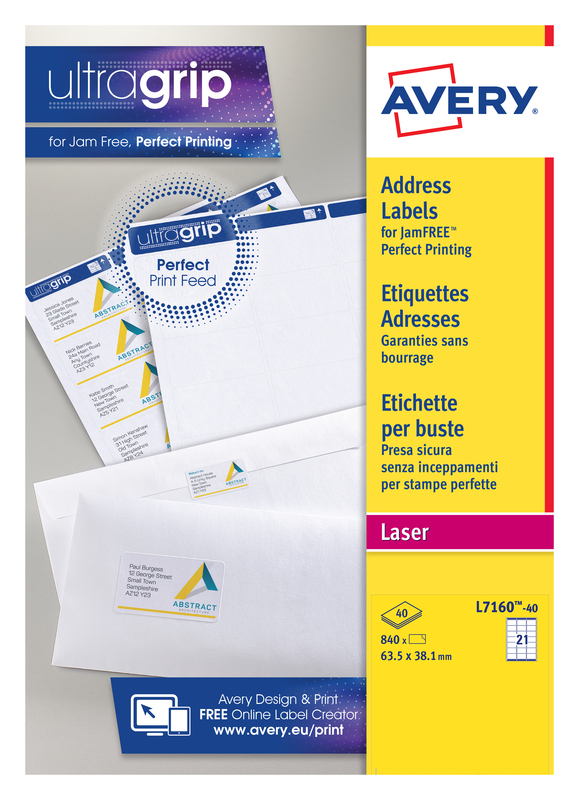 With Avery's patented, QuickPEEL system, simply divide the labels along the perforation lines to expose the edges, peel and stick to your envelope. Perfect for envelopes, they are fully compatible with your laser printer and guarantee a jam free print for instant, professional labelling. These eco-friendly labels can be fully recycled and are made using environmentally sound materials. This pack contains 40 sheets with 21 labels per sheet (840 labels in total).